posted by Mike Pettinella in news, city of batavia, mall merchants association. The proverbial “cupboard” is bare. That’s the view of City Manager Jason Molino, who, in a letter dated April 10, 2017 and obtained by The Batavian in a FOIL request, indicated to the president of the Mall Merchants Association that the group has run out of money. The prior year concerns referred to by Molino are what he estimates as $18,000 in attorney fees and material costs expected to come in for February and March of this year. “The estimate was based on prior year expenditures and the average of material costs from November through January,” he wrote. Per the 1987 Settlement Agreement between the City and the Mall Merchants Association, the City is required to maintain all Association billing and accounting activities, with the Association’s funds subject to the City’s annual audit. Molino’s letter paints a bleak picture in terms of the Association’s finances, and could further complicate the parties’ quest to ratify a proposed 11-point settlement framework released to the public in February. At that time, Molino outlined a “settlement framework” for the City and Mall Merchants Association to end their lengthy dispute over maintenance and operation of the City Centre Mall. That proposal calls for the City to retain ownership of the downtown facility's concourse, pay 100 percent of capital improvements and take care of mall maintenance and operations. City Council signed off on the plan and expected the merchants to do the same. Since then, an attorney for the merchants said the Association would not be agreeing to any settlement that didn’t grant easements for pedestrian and vehicle traffic for each property owner in the mall, and also accused the city of trying to force a settlement by “hoarding” nine foreclosed properties and refusing to pay maintenance fees. Robert Chiarmonte, president of the Mall Merchants Association, reportedly is out of the area until Tuesday and could not be reached for comment. However, Madeline Bialkowski, director of the mall, said today that Molino is misrepresenting the Association’s account by exaggerating the attorney fees and material costs for February and March. Bialkowski added some merchants have made their mall maintenance fees’ payment in advance and that she and her staff of three part-time employees are being paid. According to documents obtained by The Batavian last month through a FOIL request, the merchants have paid their attorneys $212,056 since starting the litigation against the city in 2009. Another case of he said/she said. And we still can not be sure which side is telling the truth. As usual, the lawyers ended up with most of the funds. Now that they're out of money FOR the lawyers, the lawyers will quit - and THEN they can settle this. Tear it down and start anew! It`s a health-hazard and a dump. Make Batavia great again! Jim, not a bad idea, but, you have to use Eminent Domain to take away private property. That will cost a lot and be in court for awhile. Then there is the cost of the tear down. But, maybe the time will come that the tax money is worth it. It`s a proven health hazard and should be shut down until it is working condition at the very least. If you have chipped paint or a loose shingle on your home, the city is right on you to fix it yet the mall with it`s mold, buckets to catch water, loose tiles, etc. just stays open? Wait until someone slips and falls or gets hit with something falling from the ceiling, that will cost them the money! What do you suppose an out of towner visiting Batavia must think when they walk into the mall on main street no less and have to walk around a bunch of buckets coming in the door? They`re going to think what the hell kind of town is this? It`s an eyesore and needs to be gone, period! It has gone on way too long. Jim, are you willing to pay the higher City property taxes that will be needed to do that? Why is the City and Mgr Mallino so insistent on maintaining ownership of "any" of the Mall? Do they pay taxes? No. But won't they will have to pay for repairs, upkeep and maintenance? No, the city taxpayers will. Do the city taxpayers want to own and pay for repairs, upkeep and maintenance for a part of the Mall? No, but they don't really have any say now do they. I'd say put it up for bid and let the highest bidder take it and renovate it, or tear it down and build a parking lot, and pay taxes on it. The City should get out of Mall ownership totally. Problem is no-one would buy for even close to fair market value. So, I'll say it again, for the $55Million planned to be spent on building a new BPD headquarters($14M), and Genesee County Jail($50+M), the Mall could be totally renovated, and then utilized for the BPD Headquarters and GC Jail, also include an auxiliary County courtroom (to eliminate the excessively expensive transporting of incarcerated lawbreakers all over the county for court proceedings), and the already existing City Centre. John, are you willing to pay the expenses of a lawsuit when someone slips on a puddle or bucket while walking in? How about if a piece of that ceiling hits someone in the head? There are so many so-called smart people running the show in this town, why can`t they figure it out? Since the mall, with the exception of the concourse and City Hall itself, yes I am. I am not willing yet to let the government take private property away from their owners when there might be another solution. Now, Jim, answer. Are you willing to let the City take away peoples private property? And are you willing to pay the taxes to do it? When the people aren`t upkeeping their property, especially a place of business, something has to be done John! Like I said before, if you`re home has issues like chipped paint or a loose shingle, the city is right on you to fix it or you are fined. What makes the Mall any different? We pay our taxes just like you and find the mall a disgrace. If the people or city can`t maintain their property, fine them into submission like they would anybody else! Make sure you make good on paying for that lawsuit when something ends up happening in that mall. Everyone in town can sleep better tonight now that you got it covered! By the way, why do taxes have to be raised to take care of this atrocity that has been standing there worthless in the center of town for years? Use a little of that slot or lottery money to tear it down! If nobody wants to move in and make it commercial, make a park out of it or something. Anything is better than a standing health hazard! Batavia figured out a way to rob the town with flood insurance at a ridiculous amount for a town that will never flood but they can`t figure out how to solve the mall problem? They allow a full blown health hazard to remain open in the center of town no less and you think that`s okay??? Makes a lot of sense John!!! The condition of the concourse and who is responsible for its maintenance is the whole reason there is a lawsuit. The city maintains that by prior settlement, the mall merchants were supposed to take care of it. The merchants are blaming the city. So when you say people aren't keeping up their property, who are you blaming? The two parties can't agree on who to blame. Who do you blame and based on what evidence? Tear it down? Tear down what part? Just the concourse? And then what to do about the merchants who would sue over loss of the concourse. Tear down the whole thing? Who buys all the properties from the private property owners in the mall? You never answered John's question: Do you support eminent domain? Are you ready to pay the extra taxes to support that expensive and lengthy process? Use VTL money? Fine, then something else doesn't get funded and taxes go up to take care of that need (and VTL wouldn't even begin to cover the total expense). Jim, that property is privately owned by people. Do you think the government should take their property away from them? That is what you hint at, so yes or no, do you support that? By the way, looks like VLT money will be cut this year, but that would still not be enough to pay the owners for their property, or cost of taking it down. Then of course, you have the pending legal action to pay for if the owners do not agree to their property being taken away from them. Jim. While I believe there are places where the use of the word "never" are (more than likely) factual - as in, "I will never be able to jump from Jupiter to Mars", one might want to be careful when saying, "... for a town that will never flood...". It would only take a monumental snowstorm, followed by some freakishly warm/hot days, to inundate Batavia. Ed, to be fair, he said "town," not "city." Are you aware of any such flooding in the town? When he writes "Batavia figured ... " is that the city or town? 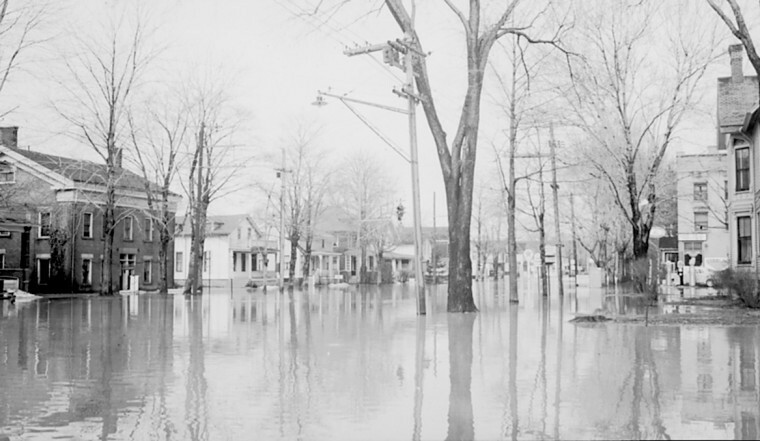 If the city, how does the city affect anything related to flood insurance in the town? And if the town, what has the town done? I'm not sure what he was referencing. The city has taken action to bring the cost of flood insurance down (and the city has no control over the requirement for flood insurance in flood plains, nor does it define those areas). I'm not sure what the town has done. 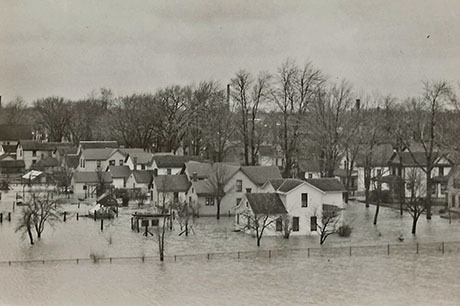 "Batavia figured out a way to rob the town with flood insurance at a ridiculous amount for a town that will never flood but they can`t figure out how to solve the mall problem?" That makes absolutely no sense and there isn't a bit of truth to it. The city doesn't receive any of the flood insurance money and, as Howard said, the City is working to bring down the costs of flood insurance. BTW Howard, I've seen South Main Street Road flood horribly during more than one spring thaw. One year the creek was just about up over the road. It seems like it was just yesterday but I guess it was at least 20 years ago. Jim, can you explain to us where you got the information that the City ripped off the Town of Batavia on flood insurance? According to https://en.wikipedia.org/wiki/Batavia_(town),_New_York , " The City of Batavia is surrounded by the town, but not part of the town". So, I'm guessing your "office" is downcity Batavia, correct? I live in the city and my office is in the city. I worded it wrong about flood insurance and wasn`t meaning that the city made any money on insurance. I`m not sure who is getting the flood insurance money but I do know that we had to have it when we recently bought a home here in the city and it costs more for flood insurance than it does for your basic homeowner`s insurance for a home that doesn`t even see a mudpuddle! Regardless, my bad, that has nothing to do with the mall and should be a different conversation. Back to the mall though, who was the wizard who thought it would be a good idea to sell off parts of the same building to private owners and expect that it would ever work out in the first place? Passing the blame back and forth for how many years now just keeps going on and on. Somebody is responsible! In this situation, eminent domain might very well be the answer. Like I said before, every homeowner in town has to keep up their property or the city comes knocking yet a public place of business is allowed to just keep open and have people dodge around health hazards and you find nothing wrong with that? By the way, the concourse seems to be in the worst shape of the whole mess. You dodge around the buckets and see the loose ceiling there more than inside the actual businesses. I don`t dodge buckets inside of Hawley`s, Penney`s or the Stage Coach so to me, the private owners have done a better job than the city. Still though, with the whole building being in such sad shape and the costs it would take to fix it not being worth it, a solution has to be forced. Eventually somebody is going to fall, get sick from mold exposure, etc. and it`s going to be a bigger mess. You are all so interested in telling me I am wrong but what is any of your answers? Do you suggest we just let the building keep going until it just collapses or what? You are all so smart, what`s your ideas? Jim, nobody said your wrong. Just needed to be sure you knew that your solution would mean taking away personal property by the government. And it could cost a lot more than the current plan. I would like to see the proposed arbitration plan tried. But I have to say I am not sure the City Manager has given us all the details of the plan. All I can tell you is it has gone on way too long and should be figured out one way or the other. It`s a mess that never should have been created in the first place. The city would have been better off if left alone like the other side of Main St. Somebody`s pockets must have gotten full way back when that mall was built in the first place! Jim, what happened 40 years ago-get over it. It's done. And the business concept of individual, privately owned stores and businesses was never going to work. But again, it's done. If this is not resolved this year, we have an election coming up. Yea, it`s done alright! Just like the mall being relevant and safe to walk through has been done for about 10 or 15 years now! We need an election to solve our mall problem huh? Yea, that should solve everything! Jim, you miss the point. You don't need an election to solve this. There is an option on the table right now. If what we are told is true (and that is "if") that arbitration plan will cost less than taking the property, paying for the property and all the court costs (and even more years waiting while in court) then the cost of tearing it down. Then you have to hope somebody will come in and buy the land and do something with it. The election is your option if you don't like the current plan. Put some pressure on them! Bring the health board in to inspect this public place and see what happens. All I know is I have been to many states and been in many malls and have never been in one anywhere else that has you dodge buckets catching the water from the ceiling! It is a disgrace! I guess you miss my point as well John. It makes the city look like crap!